It is time for celebrations at 613 Avenue Create. 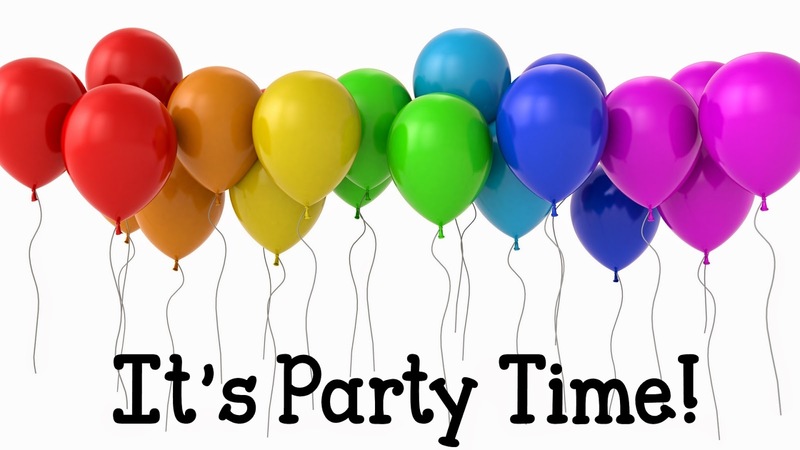 It's the second Blogaversary and we are having a big Blog Party, with lots of prices for everybody who want to join in. In addition to that, we are hosting our regular challenge, which is #106, Anything Goes with the optional twist 1001 Techniques. This week I've been lucky to showcase one of my favourite digital stamp brands, A Day for Daisies, and the image that I chose to work with Bundle of Fairy Love. I made a welcome baby card with it. For this card I used Lili of the Valley & NitWit Collections (Bonnies & Bowties) patterned papers, white, craft and pink card, flat back peartls, frantage embossing enamels, liquid pearls, glitter glue, ribbon, paper flower and white thread. Extra picture to show the glitter on the wings. Me chifla! es preciosa! Muacs! Wow, just gorgeous. Such a beautiful combination of colors. Thanks for joining us this week at Inspiration Destination. Beautiful card! Your coloring is lovely! 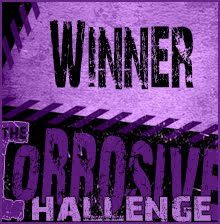 Thanks for joining us at The Corrosive Challenge! Beautiful card, Aurora. I love this image. I don't think they have a bad image. Wow,it's so sweet! Beautiful image, colors coloring and design! Thanks for playing at Card Mania Challenge,good luck and I hope to see again. A stunning creation Aurora, such a beautiful image. Thanks for sharing with us at Crafting From The Heart and we hope to see you again. Hi, A beautiful card and image. Love the image and the lovely colours. Love the flowers, the pearls and the heart border. Beautiful card that is beautifully colored. Love the color choices. Aurora, such a beautiful image and card! DT Teamie for 613 Avenue Create! Thanks for finding some "me time" to join in our challenge! LOVE your creation, and I wish you the best of luck in the draw! If this card got any sweeter I'd have a mouth full of cavities. It is soooo charming. I love the color scheme you used and you sure have some talent with coloring! Awesome, darling work! Absolutely beautiful Aurora! So soft in colors and the stitching, Fran-tage and pearls frame this beauty so well! Nicely done my friend! 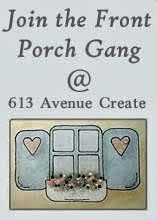 - glad you're sharing your project & creativity at 613 Ave C! LOVE the colours combo and beautiful image - a gorgeous card. This is so beautiful and serene! Thanks for joining us at A Day for Daisies! What a great image and card! Lovely card. Love the color scheme you used in this one it is so soft looking. Thanks for playing along with us at Ching-Chou Kuik Challenge this month. Adorable card, lovely colour combo. Thanks so much for joining us over at Emerald Faeries Challenge Blog, good luck and hope to see you again. What an amazing card! Love the bright colours! Thanks for joining us at Card Mania Challenges. Good luck!